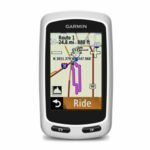 Garmin was founded in 1989 in Lenexa, Kansas as “ProNav”. Its first product was a GPS unit which sold for $2,500. The company was later renamed “Garmin”, an acronym of the first names of its two founders, Gary Burrell and Min H. Kao. In 1991, the US Army became its first customer. Garmin was an early mover and pioneer in the wearables market when it introduced the Forerunner 201 in 2003 – its first GPS enabled wearable targeting the running market. Since then, the company has shipped more than 20 million wearable devices. Garmin’s wearables strategy is centered on purpose-built devices for consumers who want to measure and enhance their active lifestyle pursuits, whether it’s running, cycling, swimming, golfing, walking, or simply being more active.